The fire has now been completely extinguished and an investigation has now begun. Some of the richest families in France started a whirlwind fundraising campaign and already managed to put together 700 million Euros (almost 800 mil dollars), just 24 hours after this whole mess started! This whole thing was mostly driven by Bernard Arnault, ranked third richest person in the world, who put in 200 mil himself. I wish we could see this kind of thing more often. Notre Dame is going to emerge better than ever! Only if they redo the colorful painting like it had in middle ages; sadly I don't think they will. But peoples don't see cathedrals as "painted", they see them as monochrome dark stones; if they remake the painting it would be a scandal for many, even though likely more beautiful. 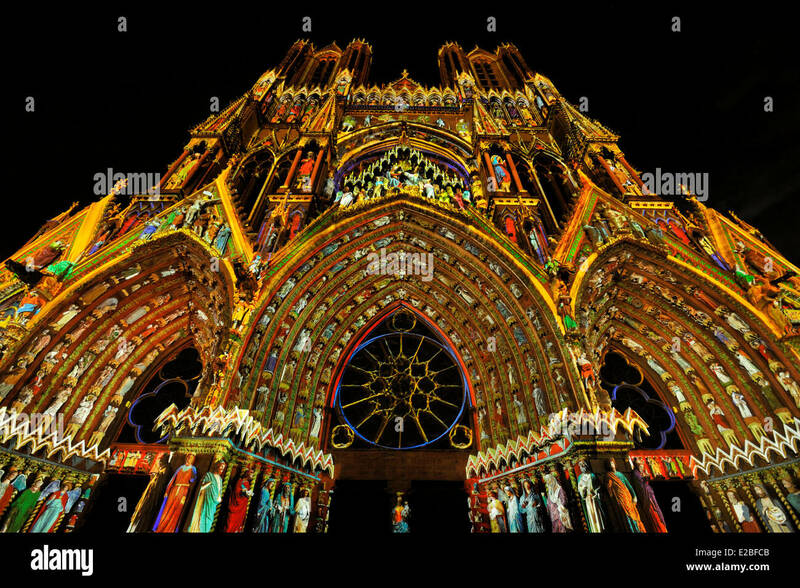 Here is Notre Dame de Reims, colored by the lights of projectors, giving a glimpse what it looked like painted. That's not an "add-on", it's a "lift-off". Will they be putting in a Starbucks? I just hope they won’t create some horrible ‘add-on’ like that ghastly glass pyramid thing. They will be pouring over a billion dollars into the renovation/restoration. They got donations of $800 million in less than 24 hours. I believe they will hire experts in maintaining the "medieval" look, while making it structurally stronger. I believe Notre Dame will regain its splendor----plus this would, paradoxically, save money and time, since the renovations which had gone on previous to the fire would be part and parcel of the overall restoration job. 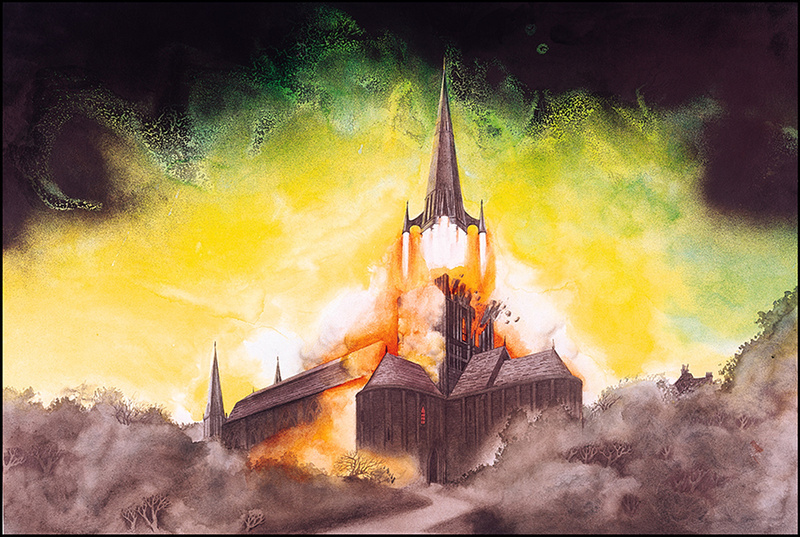 I have no worries about the restoration of Notre Dame Cathedral. I don't feel this is an exact analogy by any means. But I'm thinking this occurrence can be thought of as being akin to the deliberate fires the Native Americans used to set in their forests in order to make their forests more fertile. They were able to restore Windsor Castle back to the way it looked originally, so I'm sure this can be done properly as well. Who else is watching Hunchback of Notre Dame right now? Notre Dame de Paris - "Belle"